by Seton Motley: General Motors stock (NYSE: GM) finished 2011 down 46.1% – the absolute worst car or car-related product stock on the board. Besting (so to speak) the second worst by 4.5%. And GM’s unprofitable, unpopular, combustible electric Chevy Volt was a ‘Worst Product Flop of 2011’ winner. Oh, and GM is moving electric vehicle development (and production?) to China – which sort of undermines the jobs “created or saved” reason for the $50 billion GM bailout. All of which is even more terrible GM news for We the Taxpayers. Per the titanic GM stock price drop-off: As a result of President Barack Obama’s $30 billion in additional bailout coin, we own more than 500 million shares of GM stock. To break even on our “investment,” these shares must be sold at $53 per. GM closed yesterday at $21.15. Which if sold today would mean for us about a $16 billion loss – just on the stock portion of the GM bailout (we’ve suffered additional huge losses on other portions thereof). Less Government tracks the looming stock loss – and offers the solution for how we can extricate ourselves from GM – at www.BailoutCost.com. 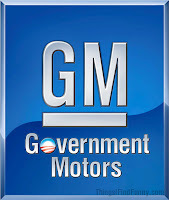 Less Government President Seton Motley: “From the moment the bailouts began – and General Motors became Government Motors – we have seen GM stack failure upon failure. “There’s the unprofitable, unpopular, combustible electric Chevy Volt – a ‘Worst Product Flop of 2011’ winner. That costs We the Taxpayers $250,000 per unit sold. GM sold in 2011 25% fewer Volts than they had planned – but is in 2012 bizarrely increasing production by 500%. And despite all of this failure – including the inability to determine what is causing Volts to burst into flames – GM will next year begin producing an electric Cadillac and an electric Cruze. “GM in 2010 received more clean (non-energy) energy patents than any other entity – of the Solyndra, Tesla, Fisker, uber-failure variety. Seton Motley is the President of Less Government and he contributes to numerous sites and blogs. ARRA News Service Editor: Here’s an idea: let’s keep the government – and above the crappy administration – out of the business of picking winners and losers in the private sector. 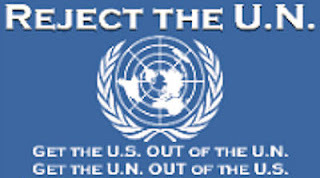 Tags: bailout, bailouts, Big Labor, Congress, crony capitalism, crony socialism, Economics, energy, Environment, Federal Spending, General Motors, Chevy Volt, government motors, stock, Healthcare, News, Obama, Regulation, TARP, Technology, unemployment, Unions, Seton Motley, Less Government To share or post to your site, click on "Post Link". Please mention / link to the ARRA News Service. Thanks! You’d think that $230,000 in taxpayer funds per car would at least buy us a decent vehicle . . .
From Yahoo! Finance’s list of the ‘Worst Product Flops of 2011” [Emphasis mine]: . . .
GM (GM) was originally so excited about the Volt that the company had announced in January it was speeding up its roll-out by six months. But by November the excitement had fizzled out. Larry Nitz, GM’s executive director for vehicle electrification told Reuters, “It’s naive to think that the world is going to switch tomorrow to EVs [electric vehicles].” Indeed, sales for the vehicle have been consistently low. Only 125 models were sold in July 2011. This was after GM spokeswoman Michelle Bunker was quoted as saying that the Volt was “virtually sold out” due to its popularity — a statement later shown to be misguided. Adding insult to injury, Chevy Volts are under investigation for fires involving the cars’ lithium-ion batteries. For concerned Volt owners, GM has offered free loaner cars. General Motors Co. is touting the 230 mpg figure following early tests that used draft guidelines from the Environmental Protection Agency for calculating the mileage of extended-range electric vehicles. The EPA guidelines, developed with help from automakers, figure that cars such as the Volt will travel more on straight electricity in the city than on the highway. If drivers operate the Volt for less than 40 miles, in theory they could do so without using a drop of gasoline. Well THAT didn’t happen. So, to summarize, not only did the Chevy volt fall far below fuel economy predictions and sales projections, the car also catches on fire. Imagine that ! So much for the great governmental bail out! What would anyone expect? It is, after all, Government-Motors now. It even operates and performs the same as.......LOL.....I've been a Ford man ever since BooBoo and the Unions became majority stock-holders.